The launch of a new relaxation device sparks the need for two new search engine optimized websites. Magneceutical Health™ launched a new magnetic therapy device that helps to enhance the feelings of relaxation for patients with a variety of pain conditions. In order to market this device to healthcare providers and patients worldwide, they needed two interactive sites that attracted their target audiences. One site was geared to the research conducted while using the device for pain management. Another site was needed to focus on the relaxation enhancing features of the device. DDA Medical, one of the nation's top professional medical website design and development company, was to take on all aspects of both custom websites including search engine marketing and branding, optimized website design and development, search engine optimized (SEO) keyword research, copywriting, programming, and animation. As a leader among search engine marketing companies, DDA made optimization a primary objective in the design and copywriting services provided. Each site would present information on the relaxation device while marketing to a certain audience: those looking for relief from pain, those looking to enhance relaxation, and those who can refer these services to a patient. They key to these sites was to provide the information in a way that's both eye-catching and easy to navigate. After marketing and branding discussions with the client, DDA copywriters began to research the key search terms ranked highly by the client in order to attract the targeted audiences. Once a list of terms was approved, DDA outlined and wrote the content with search engine optimization (SEO) in mind. For pico-tesla.com, the site was designed around providing information on the device and supporting research to patients and healthcare providers. The goal of magneceutical.com was more focused on providing a relaxing landing page for patients looking to relax and learn how this new magnetic therapy device can help. There's also a section for healthcare providers interested in procuring a device for use in their practice. Both sites include Flash elements used to showcase the device and what it can do. 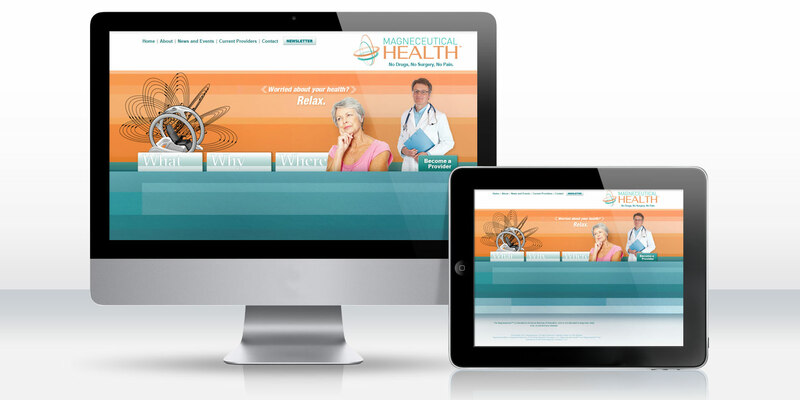 Both magneceutical.com and pico-tesla.com are prime examples of the custom medical website design and development services DDA Medical provides. From conception to completion, all aspects of production were fully discussed with the client and carried out based on their feedback. The results are two informative sites that have been used to market the launch of a promising new medical device.